Home Improving the World Put Some Action Behind Those Words! We know words have energy, but words alone will not get something done. In our physical plane of existence, energy must be used in physical form. This means that words are useless without putting action behind them. 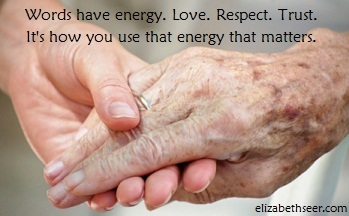 Words like love, respect, honesty and truth have a lot of positive energy behind them. Turning that energy into action is what makes those words useful. energy in words, turn words into action, words are energy. Bookmark.